Install Avatars Faces. Avatars of the world, unite! It is always cool and exciting to imagine yourself living in a world where you can be anyone you want. Any face you want! A world where you can have your own avatar and meet others as your alias rather than yourself. 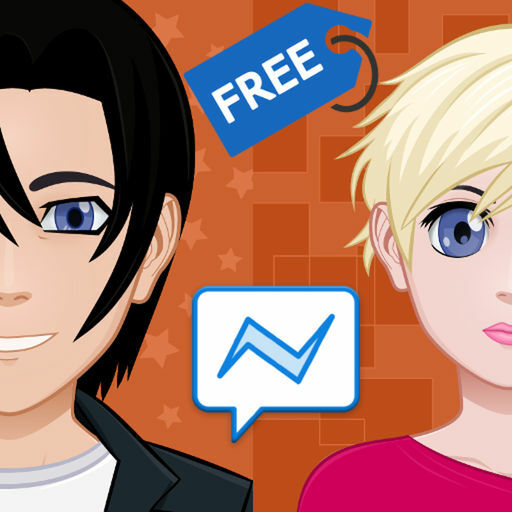 We heard your thoughts and are proud to bring you Avatars Faces, a virtual world for you to design and create your own avatars and use them to instantly connect with other anonymous avatars and also meet new people via their free personal avatar. See online usersOn our main page you can see the latest connected users even if they are online or not. You may tap on any avatar (image, name) and you can open a chat with she/he. Design your avatarAfter first login in our application you will be redirected to the avatar designer page. Here, based on the gender you chosed, a random avatar is generated for you. Chat with anyone, anytimeAfter tapping on an avatar from the main page, the chat page is opened and you can start chatting with the chosed avatar. Find friendsNow you can make new friends in a fast way by swiping like in the Tinder application. When you press on Find Friends button you will se a list of proposed friends with avatar picture, name and location. Translated messagesThe chat messages are automatically translated based on avatars languages. For deactivating this please use the Auto Translation button from Settings tab. Contextual helpYou can press the Help button on each page and see a contextual help that can drive you in application usage. Avatars of the world, unite! Invite your friends and share the fun! Now, mobile app available on the App Store and Play Store!